Ten days ago, Sprint officially flipped the switch on its LTE network. By doing so, the carrier brought high-speed wireless broadband to users in 15 markets across Georgia and Texas. Or at least it did from a technical standpoint as users are reporting that hooking up to the Sprint LTE network is easier said than done as signal is absent most of the time. Bob Azzi, who is the senior vice president of Networks at Sprint, commented on the matter and said that the carried wasn't planning to wait until all cell sites were covered. Instead, these markets were chosen for initial rollout since Sprint determined that the footprint was sufficient for enough people to find it in enough places. "We focus on street-level coverage," Azzi said, although LTE should be available indoors as well. So it is possible that Sprint was mostly trying to make headlines with the launch of its LTE network instead of waiting until a decent percentage of the users in those 15 markets were blanketed by it. Until those gaps to be covered so that the carrier's LTE coverage matches that of its 3G network, we'll have to brace ourselves with patience. Yet it is said that by the time Sprint expands its LTE network, too many of its subscribers could have already switched to a competing carrier. Besides, Sprint might not have enough spectrum at its disposal to guarantee that its LTE network matches the quality of those by Verizon and AT&T. Verizon offers LTE service in 304 markets across the country and is aiming to reach the 400 mark by the time 2012 is out. AT&T's LTE network currently covers 47 markets. T-Mobile is still relying on HSPA+ for high-speed mobile internet access, but is planning on switching to LTE at some point next year. I completely agree. I have noticed it mentioned in a negative sounding way more than once. The truth is that T-Mobile's HSPA+42 network performs just as admirably as Verizon & AT&T's LTE networks in almost every city. The only reason it's mentioned in a negative way is because they spin it as "4G" and it's not. So many people get it confused with 4G LTE it's not even funny. It's comparing apples to oranges, and the clarification is needed badly. Then again, none of the carriers have true 4G by the original definition. Plus, why not go ahead and call it 4G when Tmobile's HSPA+ is just as fast as Wimax in real world application? I'm so fed up with sprint its ridiculous! I live in PHX and I can barley get a signal anywhere. My friends have T-Mobile, VZW, and AT&T and they stream videos or search the web from anywhere in the city while I can't even get a strong enough signal to make a call. I upgraded to the Galaxy Nexus from the Epic 4G and there is no difference. I'm tired of excuses saying to wait for LTE but they can't get 3G working well. I can't wait to move over to VZW. Sprint just can't seem to get it together and I'm tired of waiting. I agree with TheRequiem, I've been in Phoenix many times and never had a problem with a signal. It might be your phone. Well the Now Network reps say my phone is working perfect. I hate to say it but I don't think Sprint is gonna make it. Their 4G WiMax never really got off the ground for whatever reason and I've heard a thousand excuses and now they're swapping over to 4G LTE late I may add and it seems to be off to a rocky start. I was in Indiana over the past week and I still had a terrible 3G signal, I could barely check my email so I don't think its my phone, this one or the last one I had because its the same problems, weak signals. That may be true in his case (bad phone) but I can assure you as for San Antonio Sprint has had an issue for a long time. Me and the wife upgraded to the Samsung Galaxy S 3 and the EVO LTE. We also have a Samsung Galaxy S 2 in the house and have had the EPIC 4 G. Speed tests for 3G range from 100 kb to about 700 MB on all phones we have and We have had guests over who have Verizon and even on 3G they were getting 1.8 MB/Sec. I have seen their 4 G Wimax service progressively degrade over the last 2 years from an average of 4MB a second to an average of 2 MB/Sec. They have oversubscribed their network capacity! I understand they are in the middle of an complete overhaul of their network but I do suspect they are in serious trouble due to "bleeding out" customers before this overhaul is completed. I have been with sprint for 12 years but this is getting ridiculous. ClearWire is in serious financial trouble and may not make it thru 2014 to offer sprint the capacity they need. As far as rolling out their LTE network in stages in the "launched" markets bad mistake. One thing to take note of is MOST people who are the non technical types and do not understand whats going on in the background is that in essence when they upgraded their 4G phones to LTE enabled devices, in essence they lost their 4G or will wait quite some time for it. You simply can not stream video over Sprints 3G network as it stands now. The 2 sprint REPs who sold us our LTE devices failed to mention the new phones were no capable of getting on Sprints old WIMAX network (yes we were aware but still - not good). They are going to have to act FAST and I mean fast to maintain their existing customer base. Yes they are "unlimited" but what good is that if their service is for the most part "unusable" . I'm about ready to throw in the towel and pay the termination fees and head to Verizon. Sprint by the end of 2013 will have 5x5 on 1900mhz (1900mhz = double the capacity as 700mhz), will also have 10x10 on 1900mhz (in some markets where data is more important than phone calls). They will also re-utilize Nextel's 800mhz as a 10x10 band for LTE (directly competitive with the 750mhz bands of AT&T and Verizon) and the massive capacity of Clearwire's LTE-TDD at 2.5ghz and at a 20x20 band. They are specifically using Clearwire to cover major metropolitan area's and currently, they are the fastest LTE tested, up to 100mbps. 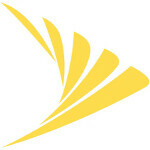 Sprint's and Clearwire's Network will be LTE Advanced by 2014, which will operate at considerably faster speeds. Sprints new network will be amazingly fast and competitive. This article is incorrect. I like how Sprint is the "Now Network" but nothing works right now. Only promises of the future and network vision that will probably be a minor (if any) upgrade to their current WIMAX. I got tired of hearing and waiting for Sprint to kick into gear. They live in the future and over promise under deliver. What's the "Now" for when everything they advertise is wait until later.